Swimming Lessons for Everyone . . .
Know someone who needs to learn to swim? Someone who is afraid of the water? Want your children to be water smart and safe near pools and open water? Do you want your child to benefit from the consistency of having the SAME ADULT instructor every swim session? Only 1 class running at a time!! Parents welcome to stay and watch their child learn how to swim!! 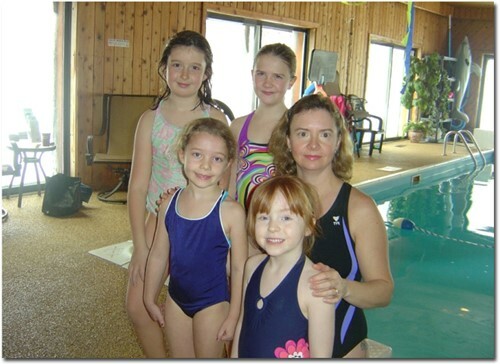 Enjoy lessons in our warm, private indoor pool, year round!! All ages welcome, toddlers, preschoolers, school age, adults. From beginner to Stroke Improvement classes Daytime, evenings & Saturdays.